Lenworth Truck Restraints contribute to facility and employee safety by holding trucks in place during the loading and unloading process. Truck & vehicle restraints are an important mechanism for ensuring trailers are securely fastened to your facility during loading and unloading. We’re proud to offer sales, service & maintenance on all types of truck & vehicle restraints in the Greater Toronto and surrounding areas. What is the benefit of using truck or vehicle restraints? Truck & vehicle restraints help with two main issues in the loading dock area: trailer creep & early departure. Trailer creep occurs when a truck slowly moves away from the loading dock as a result of traffic in and out of the truck. It can often be a very gradual process that is easy to miss in a busy, time-sensitive environment. Early departure is a simple human error wherein the driver exits the dock area too soon. This can lead to loss of product, damage to the truck and/or dock and potentially even injure employees. Both of these serious issues (and others) can be avoided with the simple installation of truck restraints that secure the truck to the dock leveller during the loading & unloading process. To learn more about how truck restraints can prevent these issues, see our article on 4 Ways Truck Restraints Can Prevent Injury & Damage. Fill out the form below or call 1-877-769-0630 to get sales, service or more information on high-speed overhead doors. Optional Items: battery backup, nema 4x master control panel (dock interlock), zinc finish extension box. As one of Lenworth’s premium safety products, the Lenworth Electric Hook Truck Restraint is designed for safety and reducing the risk of costly dock accidents. With a high visibility hook style restraint arm, it is the ideal solution for keeping workers, equipment, and cargo safer during loading and unloading. It is also a cost-effective alternative to hydraulic truck restraints, as its rugged design makes it virtually maintenance-free – with the ability to function in the harshest environments. The unique rotating hook engages over the impact guard using a restraining force of 32,000 lbs (14,514 kgs). 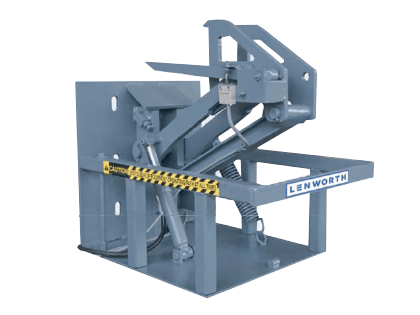 You can rely on the dependability Lenworth Electric Hook Truck Restraint and worry less about the direct and indirect costs of an industrial accident. 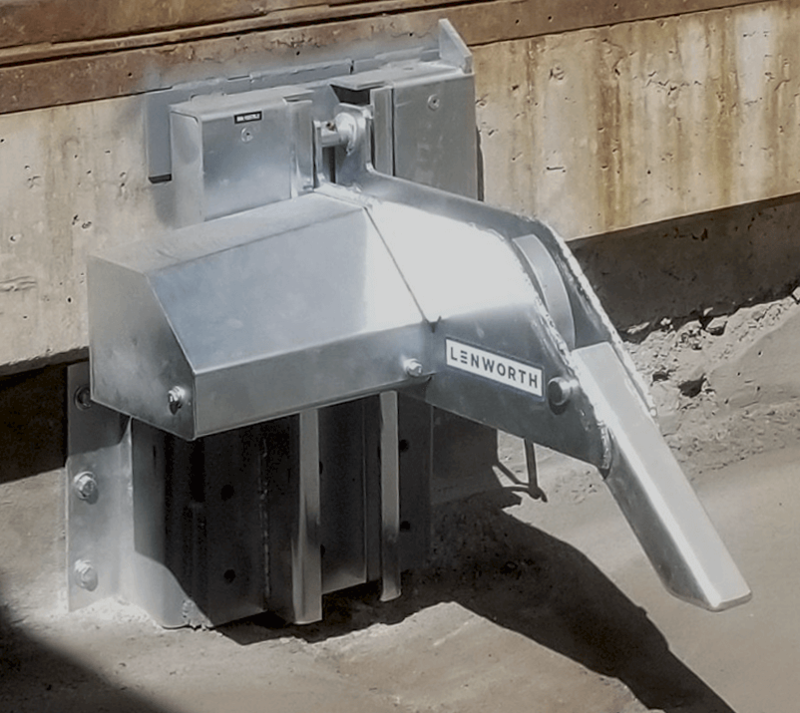 Lenworth’s Electric Hook Truck Restraint is mounted above ground to avoid debris, dirt, snow and ice, and the DC gear motor (IP-44 rated) protects against these as well. The restraint features all electronic mechanics- including position sensors- which eliminates the maintenance that is often required on mechanical limit switches. It is also environmentally friendly, because it is a sustainable alternative to hydraulic systems. Most importantly, this truck restraint prevents all 4 types of loading dock separation accidents, whereas non-impact truck restraints only address 2. The electric hook restraint features low power consumption, which saves on energy costs, and the zinc dichromate plate finish prevents premature rusting so the restraint lasts as long as possible. 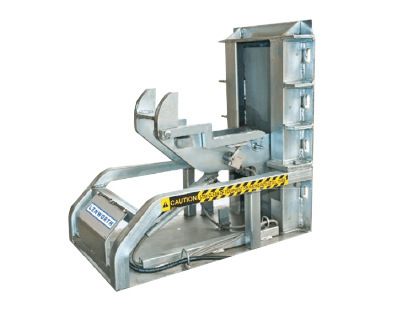 The HFR32 vehicle restraint safety system is a face-mounted, non-impact Truck Restraint. The dual side by side hook arrangement features a 32,000 LBS restraining capacity. The vertical restraining range of the HFR32 is 10 1/2” to 28 1/2”. The rugged structural steel guard protects the vehicle restraint from accidental impact caused by trucks and yard cleaning equipment. A high visibility two-way communication system provides communication between the dock attendant and the vehicle operator. The unit is locally manufactured by a member of the Loading Dock Equipment Manufacturers (LODEM) association. The HRF32 includes a 100% North American manufactured and tested power pack and cylinders, and an “open” design to allow debris to naturally move away, as opposed to competing products that are boxed in and retain debris. The unit also includes a flood-proof design and watertight and corrosive duty limit switches. Even when submerged in water the restraint provides reliable operation, and it is suitable for harsh weather conditions. The design also features a dual side-by-side hook arrangement, which increases the successful engagement rate. The LPR35 vehicle restraint safety system was designed to accommodate vehicles fitted with very low rear impact guards. The stepped hook design provides dual locking positions and features a 35,000 LBS restraining capacity. The vertical restraining range of the LPR35 is 8-3/4” to 26”. The rugged structural steel guard protects the vehicle restraint from accidental impact caused by trucks and yard cleaning equipment. A high visibility two-way communication system provides communication between the dock attendant and the vehicle operator. The LPR35 includes a 100% North American manufactured and tested power pack and cylinders, and an “open” design to allow debris to naturally move away, as opposed to competing products that are boxed in and retain debris. The unit also includes a flood-proof design and watertight and corrosive duty limit switches. Even when submerged in water the restraint provides reliable operation, and it is suitable for harsh weather conditions. The design also features a dual side-by-side hook arrangement, which increases the successful engagement rate. Increase facility efficiency and reduce energy costs with high speed doors. We offer a large variety of commercial doors with a specialty in installation & commercial door repair.